A group of concerned residents, legal and community workers in the vicinity of Nunawading established the Centre in 1974 to provide free and professional legal advice to the community. Their aim was to alleviate the social injustices experienced by people of Nunawading and to assist them to overcome difficulties in accessing the legal system. Their work added momentum to the progressive social justice movement that was prevalent at that time. From the time the Centre opened its doors until 1981, it was staffed only by a dedicated team of volunteers. The Centre received its first Federal funding in 1981 which saw the employment of staff – one lawyer and a part time secretary – to co-ordinate a night service operated by volunteers, as well as a day service. 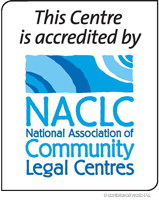 At this time the Centre changed its name to Nunawading and Eastern Suburbs Community Legal Service Inc. in recognition of the fact that the centre’s clients came from well beyond the suburb of Nunawading. In 1993, the Centre relocated to Blackburn and during this period, grew its staff team to five. It added new services including outreaches at a number of locations and legal education activities, and continued to welcome the invaluable contribution of volunteers. A further name change occurred in 1995 with the Centre becoming the Eastern Community Legal Centre Inc. In 2005, a concerted community campaign led to funding for a new office in the Outer East, and in October 2005 the Boronia office was opened to service the communities in Knox, Yarra Ranges and Maroondah. In November 2006, the Centre entered a new and exciting era when its original office moved from Blackburn to the Box Hill Town Hall Hub. This new location has and continues to enable more clients to be seen, a broader range of services to be offered and has provided a highly visible and accessible site. 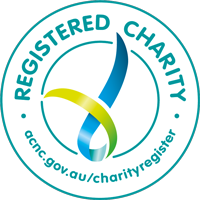 In 2014, the Centre expanded its operations again and a designated office was opened in the Yarra Ranges. Based in Healesville, the newest office provides legal and related services to residents of the Yarra Ranges and surrounds, overcoming significant geographical and transport barriers to facilitate access to justice. The Centre continues to have a committed team of volunteers who make the work of the agency possible and have assisted many thousands of people since 1974, to understand and access the legal system. This ongoing contribution ensures the Centre is able to offer extensive and diverse legal services to the community.